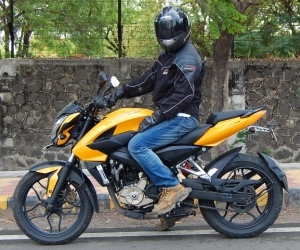 Test ride/review of the Hero Honda Passion Pro APDV motorcycle.. 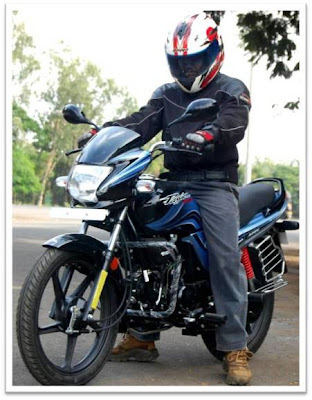 Yes sir, I finally manage to push/force myself to test ride the Hero Honda Passion Pro APDV. I have never considered a 100 cc motorcycle to be desirable. After all how much can one get excited over 7.8 Ps of power? Then why exactly have I ventured out to check the new Hero Honda Passion Pro APDV? Having blogged on Indian 2 wheelers for 4 years now, it would not be fair if I do not check out the bikes which have made the industry tick. This test ride is actually the first of upcoming test rides of a few of the 100 cc bikes which have made India the second largest selling 2 wheeler market in the world. Like it or not, 100 cc's might be tiny in engine capacity and its ability to produce maximum power/torque but are very big in India in terms of making the monthly sales numbers rock. Hero Honda had advertised the Passion as "Born in a Studio, not in a factory" when it was launched in 2001. I never took the claim seriously. Then came the Passion Plus in 2003 with new graphics and with alloys in 2007, but still I wasn’t convinced that about Hero Honda’s claim. But then came the Passion Pro in 2008, and for the first time I began to realize that the styling team of Hero Honda has really done a good job with the multi colored stickers. The headlamp fairing had also been slightly redesigned to give it a fresh and slightly grown up look. The latest iteration of the Passion Pro almost has the same looks as that of the 2008 Passion Pro except a new design tail lamp and a Speedometer console which has a small LCD digital display. Just with this two minor change and we have an "All New" model..!! The rear tail lamp design is sharp with the brake light stacked over the rear lamp and definitely looks good from the rear. The exposed glass area on the tail light though might give the impression of being delicate and prone to accidental breakage. To be honest, the latest Passion Pro does look nice for 100 cc motorcycle. The ride and handing is pretty good for a light weight motorcycle, the seats are broad and comfortable. I did get the feeling of sitting a bit high on the bike though, also the tank is pretty flat from the sides and just do not have any sort of thigh support. The brakes seem to lack bite for someone who is used to disc brakes but then for someone who is used to drum brakes, I guess that might be ok. The horizontal engine of the Passion Pro probably deserves to be in an automotive hall of fame. Simple, frugal, robust and reliable. Based on the original design by the great Soichiro Honda and which originally featured on the famed Honda Super Cub, the engine has proven itself to be a gem. 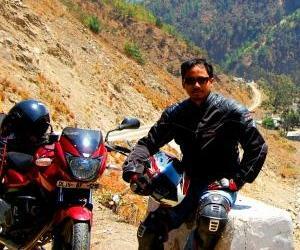 The 97 cc engine does duty on a total of 5 Hero Honda models (viz. the CD Dawn/Deluxe, Splendor, Splendor NXG and the Passion Pro). The 7.8 Ps that the engine produces doesn’t exactly provide thrill but by selecting and staying on the correct gears, the bike will take two full sized individuals around town at decent speeds. The speedometer would easily show speeds of 70 kmph plus and with a little persistence 80 kmph plus speeds can be seen too. I did not check the top speed which I am sure will be somewhere around 90 plus kmph (true speed), but the best thing about the 97 cc engine is that it doesn’t feel stressed at high speeds. The all up 4 speed gearbox is a bit clunky in operation especially from 1’st to 2’nd gear, but always remains positive. The lack of grunt is badly felt though if one is not in the right gear and will need to down shift for that desired quick getaway. Essentially the Passion Pro APDV is a glamorous twin brother of the simple and sober Hero Honda Splendor Pro. The Passion Pro looks good (especially the sharp rear tail light) for a 100 cc motorcycle and although the digital display does not display the speed, it still provides the bike with a premium feel. Plus the graphics actually do make the essentially commuter bike appear kind of sporty. So is the Rs. 4,000 premium for the Passion Pro APDV over the Splendor Pro worth? 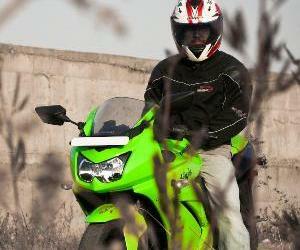 Well, that is up to the discretion of the buyer who is looking out for a efficient and reliable 100 cc motorcycle. As for me, I somehow liked the simple Hero Honda Splendor’s test ride experience a bit more. "Like it or not, 100 cc's might be tiny in engine capacity and its ability to produce maximum power/torque but are very big in India in terms of making the monthly sales numbers rock." The only interesting part of this commuter is the instrument console. I wished you would put up some more pics of it and throw in a few more lines on it. The console itself looks quite neat tho..
passion has Trip meter ? in its Digital console ? 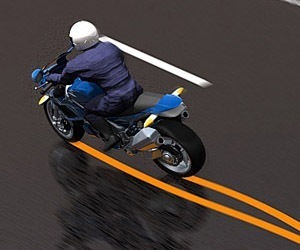 @PerlKing - The one down rest up concept basically belong to the sports/racing bike world. Back in the days when racing bike didn't had gear shift indicator, this is the only way to ensure that you are at the correct gear as per your requirement. The idea was that, if you got confused as to at which gear you are at (assuming that you are not very high up in the gear), go all the way down and you'll hit the 1st gear and not neutral. Your RPMs would shoot up, but you would not loose acceleration. From there on you can quickly do your upshifts. But care needs to be taken that this down and upshifts are done pretty quick else you would end up loosing your front and it would take a toll on the clutch plate too. If you talk about normal street bikes (and I'm saying < 180), there is no really need of one down rest up configuration (Apache RTR and Yamaha R15 are of-course exceptions) because you never really drive those fast on the fast lane. But even now, when bikes have become a lot more intelligent with a host of electronics for the rider's aid, the one down rest up configuration has become an industry defacto. i am a new beginner to riding a motorcycle and height is 5'5".I have just started learning riding a motorcycle.I want to know which out of passion pro,pulsar 135 and yamha sz-r would be best for me?? and some friends have suggested me not to buy the bike which is having front disc brake.Please advice me the best bike.Is yamha sz-r not good for me though i have liked its looks?Please tell me the saddle height difference between passion pro ,pulsar 135 and yamha sz-r? IMHO, front disc brake is a must for any bike offering these days, it will be very important for most situation and any rider, outside the very slow, conservative ones. It's quite funny that this particular engine actually was designed first as the engine for step thru/underbone bike in my country (it was used for a sport bike once, Honda Win 100, but never really a hot seller and has been discontinued), and it has been replaced by bigger capacity version, 110 cc for Honda and more for other brands. I assume only Hero Honda that uses this type of engine in India right now, or perhaps ever, right ? Other Japanese brands or local brands seem using the conventional straight up engine for their sport bike offerings. Though this particular engine from Honda is quite good, i must say it wasn't the best even in its heyday in my country. The best horizontal engine in its class backthen was Suzuki's 110 cc engine, used in Suzuki Shogun 110 in mid 90's to early 2000's. It produces 9.9 PS (overbore engine) max power and using CDI without limiter, such a lil powerhouse for speedfreak of yesteryear. 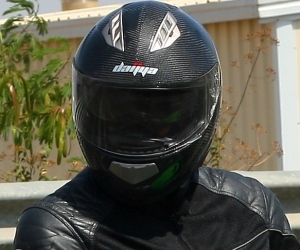 which is the best bike within 110 cc for rider height 5'4 to 5'5 in India? ?